Last year, and for the first time, Intel decided to skip the traditional desktop market with its latest chips and instead use a stop-gap refresh of older chips – Haswell Refresh / Devil’s Canyon – to address that market segment. This hurt the company’s financials as the company’s own Kirk Skaugen admitted during this year’s Citi Global Technology Conference. Skaugen who’s Senior Vice President and General Manager of the Client Computing Group at Intel said that not launching desktop oriented Broadwell CPUs last year was a “mistake”. I mentioned desktop’s more than a $10 billion business for Intel. We didn’t build a next generation core product our last product for Towers. We made an experiment and we said maybe we are putting technology in to the market too fast, but let’s not build a chip for the mainstream Tower business, more than a $10 billion business. Turns out that was a mistake. It saved us some R&D, but XP end of life and then there was no reason to buy a PC this year. Was Intel Skipping Broadwell CPUs On The Desktop In 2014 A Mistake Or An Inevitability ? Intel’s used to more of a yearly cadence of introducing products and technology. Following the Tick-Tock cycle since the days of the Conroe x86 CPU microarchitecture, powering Intel’s 6000 series Core 2 Duo and Core 2 Quad chips, Intel would introduce a new CPU architecture one year and follow with a shrunken version of that same CPU architecture on a new, smaller and more power efficient manufacturing process the next. This has been the case for a decade, until very recently when senior executives and engineers at Intel began to face the challenges of a slowing Moore’s Law. The law which governed the rate of shrinking semiconductor chips for over six decades. And dictated the rate at which all of the semiconductor industry would advance. Last year we saw an exception to Intel’s Tick-Tock cadence occur. We saw the company follow its new CPU architecture with a mere refresh of the previously introduced chips, not with a new manufacturing process or a new design. Intel followed its 4th generation of Intel Core i desktop processors, code named Haswell, with a new set of 4th generation products dubbed “Haswell Refresh”. Instead, had the company followed its traditional cadence, we should have seen Intel introduce its 5th generation code named Broadwell parts. Was that a good enough reason to blame the financials for however is a question that we should definitely be asking. On the face of it, skipping Broadwell does seem like it might have been the reason behind Intel’s 22% decline in desktop revenue this past quarter. However, launching Broadwell instead of Devil’s Canyon , Haswell Refresh, in the desktop would not have made any difference, in fact it could have made things even worse for the Santa Clara chip maker. 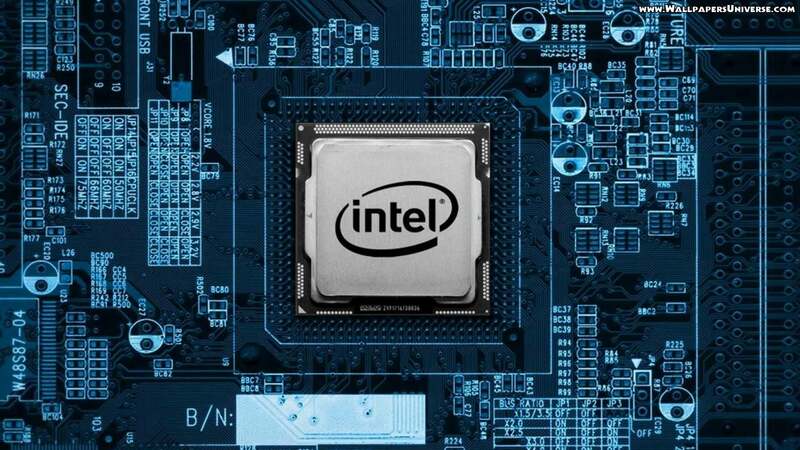 The Broadwell chips which the company managed to introduce in the desktop segment earlier this year featured significantly lower clock speeds than their Devil’s Canyon counter-parts and generally did not overclock as well. This coupled with their very modest gains in instructions per clock meant that they were generally slower than their Devil’s Canyon counterparts. And because they featured significantly larger integrated graphics solutions, something that’s of no use to desktop PC gamers who opt for discrete GPUs instead, and were made on a more expensive 14nm process, vs 22nm for Haswell, meant that they were more expensive to make and more expensive to buy than their Haswell equivalents. All of those factors combined made them less attractive to most potential desktop CPU buyers, especially gamers, which constitute the only bright spot in the declining PC industry. If we take a brief look at stats on a major retailer like Amazon.com, we quickly come to the realization that Devil’s Canyon was actually a huge success for Intel. Haswell Refresh i7 processors actually sold nearly twice as well as original Haswell i7 processors in the same period of time. 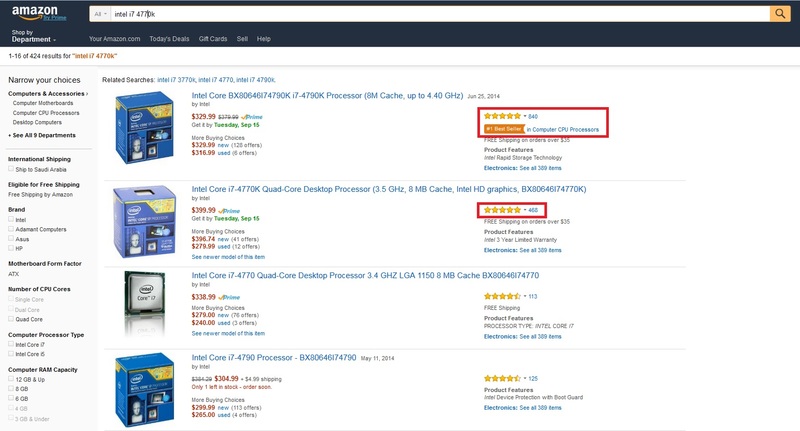 In contrast both the number of units sold and the reviews for desktop Broadwell chips have been anything but bright. With every processor generation since the introduction of Sandy Bridge in 2011 users have been less and less inclined to upgrade. We’ve seen no tangible performance improvements in CPU performance ever since those 2nd generation i core parts have been introduced. What we have seen are anemic mid single digit performance improvements and prices that have generally been climbing up with every generation of CPUs that intel introduces. Combine the two and you get a very clear picture as to why desktop users aren’t upgrading. More interestingly, Intel will have to face off against AMD’s hotly anticipated Zen CPU microarchitecture. Conceived by the formidable Jim Keller who gave the world the two most successful CPUs AMD has ever introduced in its history, the original Athlon and the Athlon64. With the company touting a sizable 40% performance improvement over what’s available today, a far cry from the annual 5% that we’ve become accustomed to from its rival Intel. It’s bound to shake things up and potentially give Intel’s Kirk Skaugen one more challenge to take on.